In this post I’ll make a short description of the CNC controller boards that I’m making available for you to download and use to control your own CNC. I’m posting 3 version of the same board, but only the first one has been really tested and has been working inside my CNC Control Box for a long time now (see my previous post Homemade CNC:TheMaker1). I’m 99% sure that the other boards will work too because they only have minor changes. I’ll explain them to you in a few moments. Power Interface – a bunch of Vishay’s IRL510 N-channel FETs working as switches controlled by the L297 Drivers. The motor’s Vcc is separated from the rest of the circuits’ Vcc, which should be 5V. For the motors you can provide 12V, 24V or other voltage that your motors may require. Bear in mind that the IRL510 have a maximum continuous drain current of 5.6 Amps. I suggest you not to exceed that. In the Vcc line of each motor, you can place a power resistor to limit the current that flows into each motor. To power the board I use a PC ATX power supply, using the 5V to power the board and 12V to power the motors. I enclosed both in a custom made acrylic and aluminium box, as can be seen in the images. 1. 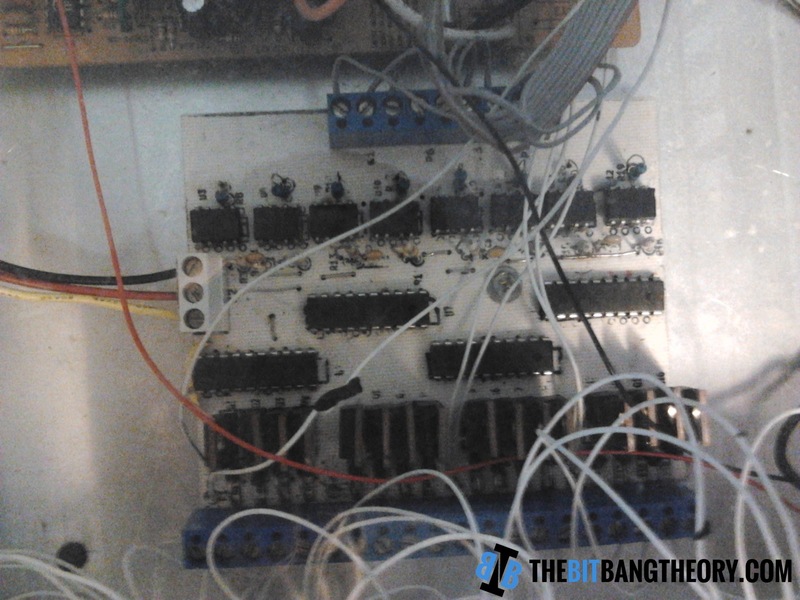 The first version is a 4 axis CNC controller, and has a jumper in the Vcc line of the motors. 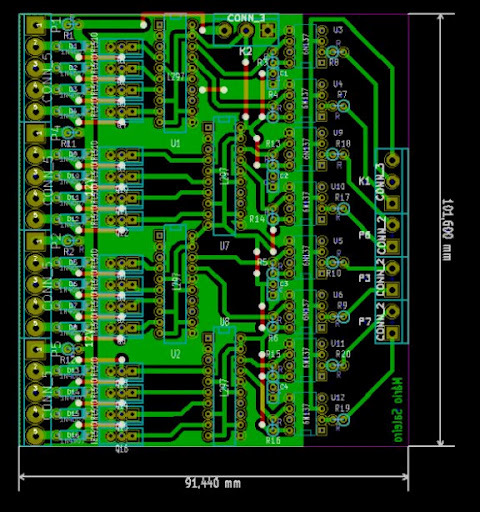 You may be wondering why didn’t I just make the board wider… Well that’s because the PCB that I had laying around wasn’t wider than that 😛 I referred that I made the board with what I had laying around 😛 Download. 2. This version is similar to the first one but is wider than the previous one, not needing that jumper in the Vcc line of the motors. Download. 3. This last version is a reduction of the previous one. It’s a compact 3 axis CNC controller. Download. I hope you find the boards useful. You may modify the design as you wish to suit your needs. If you use the boards as they are, I’d love to see them 😉 If you modify them, I’d love to see them as well :). Cheers! 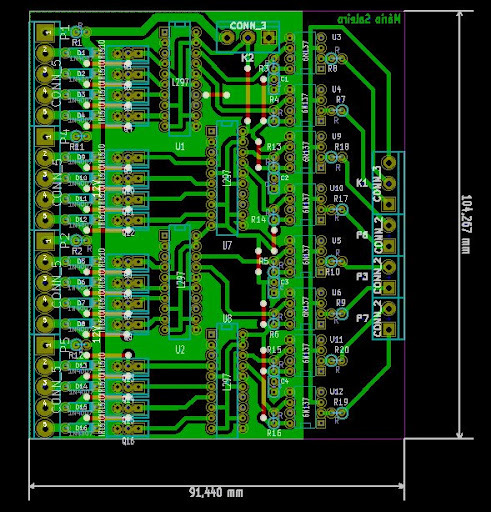 Update (22/10/12): I placed an entry on this blog regarding a second CNC Controller Board. 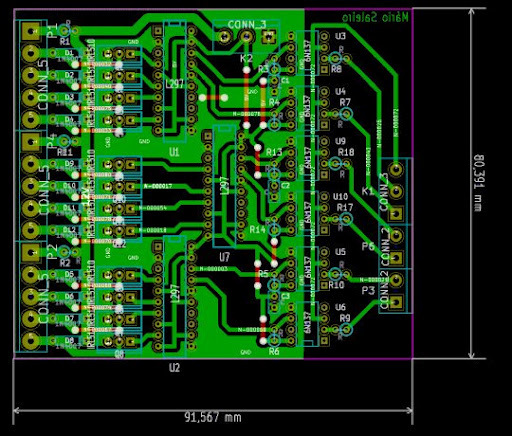 Check out the CNC Controller Board v2. What softwares should I have to open all files inside the zip file? I can open only the .dxf and .pdf files. msaleiro, did you can upload the wiring diagram for the v2 of your cnc controler?? it´s work’s fine with printers step drivers? I not can find how to conect the board to PC. Did you can help me? I have downloaded the files and do it today.